On New Year’s Eve, one of my best friends introduced me to one of his other friends as “a philosophy major, and a writer of short science fiction stories”. It struck me how weird it is that we do that – that we categorise people, choosing a few attributes and defining them as a combination of those things. Probably they were the most interesting attributes he could think of (you don’t want your friends to seem boring, do you? ), and I guess it would have taken him too long to list everything he knew about me… “She’s 165cm tall, which you can see, she prefers peanut butter without added salt or sugar, she’s allergic to the powdery stuff on the skin of grapes…” Luckily our friends also miss out the embarrassing stuff when they categorise us for the benefit of a stranger. Where was I going with this? Oh yes. I apologise for the small departure from the real topic of this post, which is my newest publication. 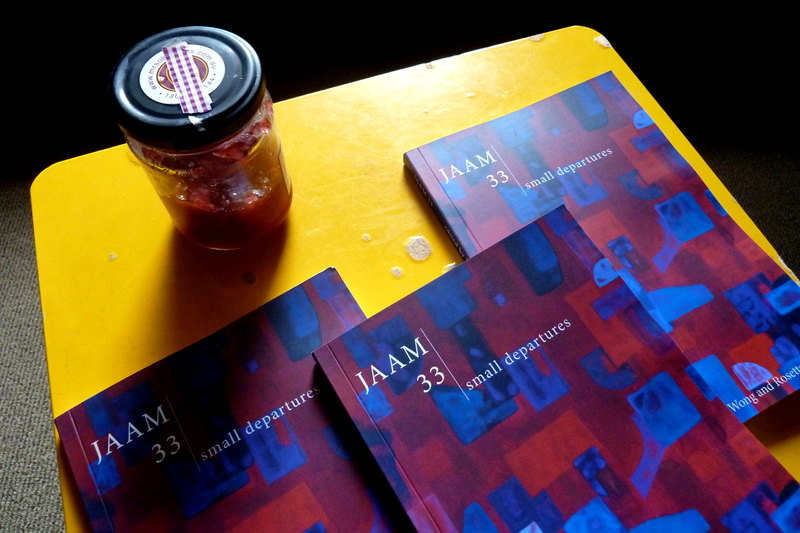 My poem ‘Across so much water’ has just been published in JAAM 33, Small Departures. It’s a very non-sci fi poem, based upon my experience as a child when my mother told me she was leaving our family and moving to the United States to be with an unknown man whom she’d met on the internet (which was a lot less common over twenty years ago). This was a traumatic part of my life – and I spent nearly two years off school, recovering. The poem means a lot to me – as my poems nearly always do. Writing them is a whole different experience to writing my speculative fiction stories, which are more about the weird ideas I have in my mind, rather than the feelings and memories I want to try and make sense of. If you’d like to have a read of this poem, here’s a link to bookshops that sell JAAM’s publications. I received my copies only a few days ago, and haven’t done much more than flick through their pages. 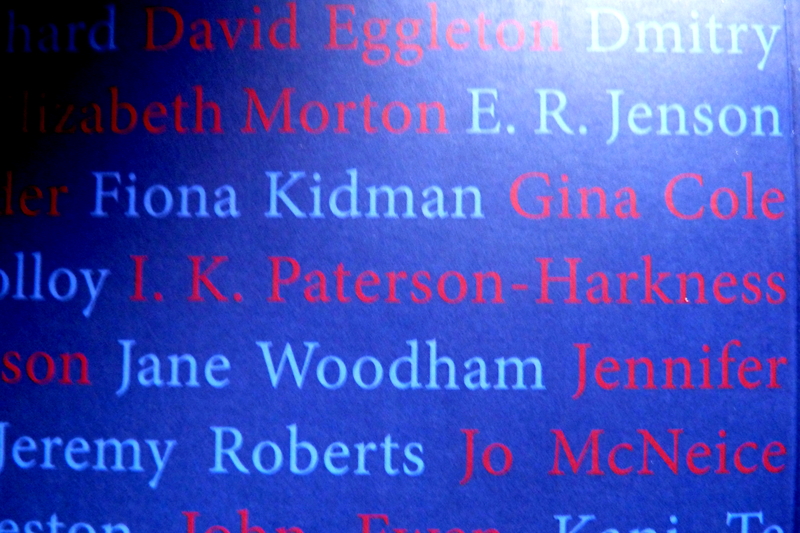 But I’m thrilled to see my name alongside some of New Zealand’s great writers.